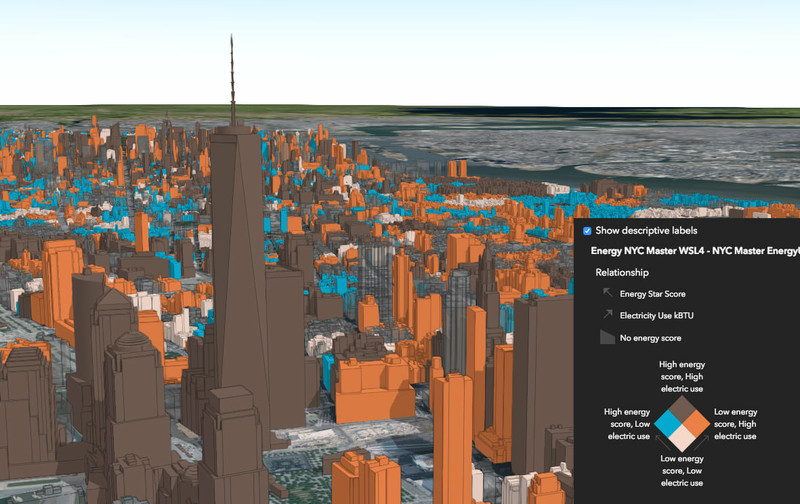 A relationship visualization exploring the relationship between energy usage and an energy score for buildings in Manhattan, New York. Predominance visualizations color features based on which field from a set of competing fields beats the others in value. 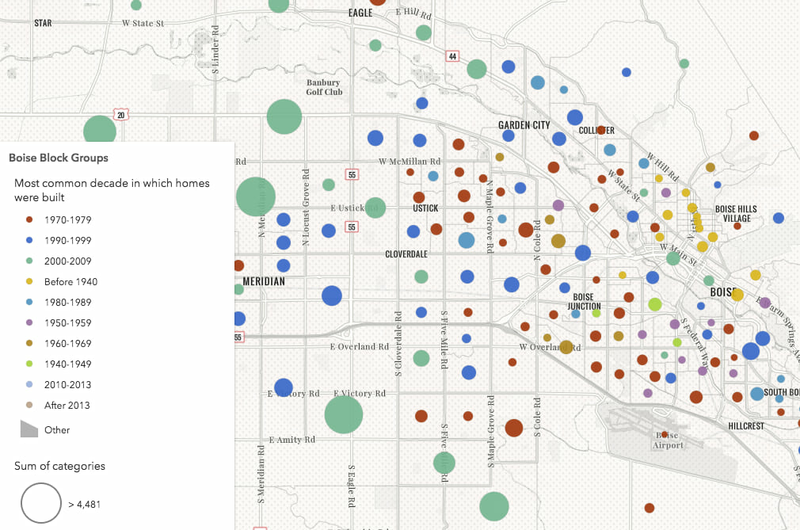 This app shows the most common decade homes were built in each Census Block Group of Boise, Idaho. The ageRendererCreator method calculates the age of features based on one or two date fields. 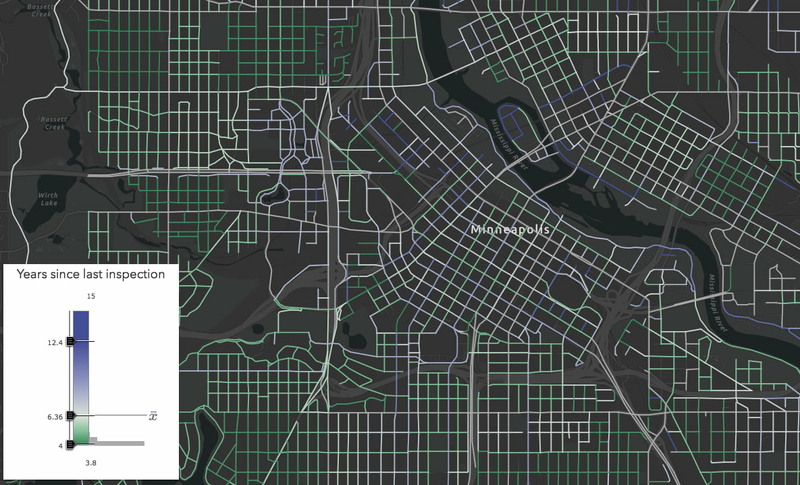 In this case, the output renderer visualizes streets in Minneapolis, Minnesota by the time elapsed since their last inspection. 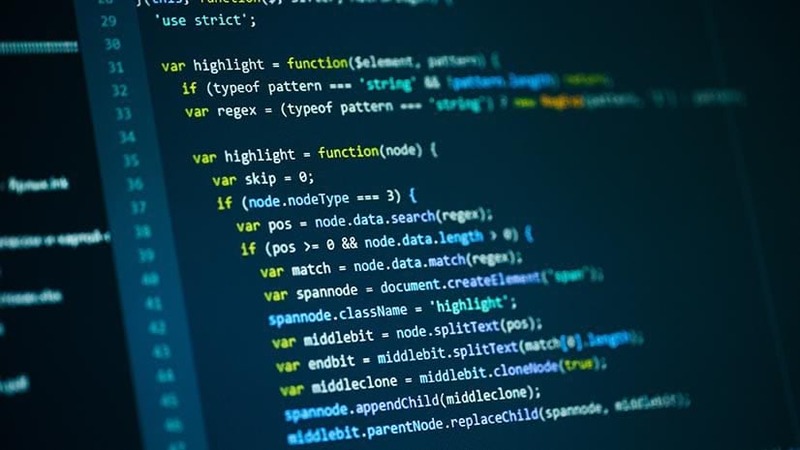 Under the hood, these renderers are driven by data values returned from Arcade expressions, which execute in the browser, using one or more attributes from the layer. Previously, I’ve written about how you can write Arcade expressions for visualization purposes in web apps. 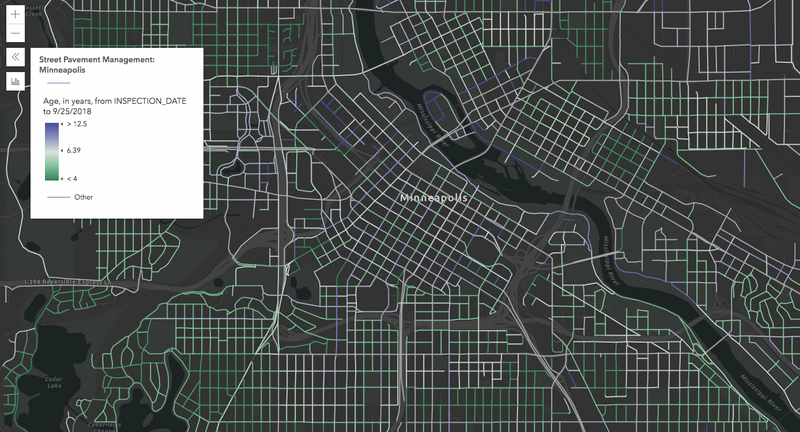 Because the logic of many Arcade expressions can be reused across layers, we created the Esri/arcade-expressions GitHub repo, providing you with a platform to reuse others’ expressions and even to share your own. Read more about how to use this repo. 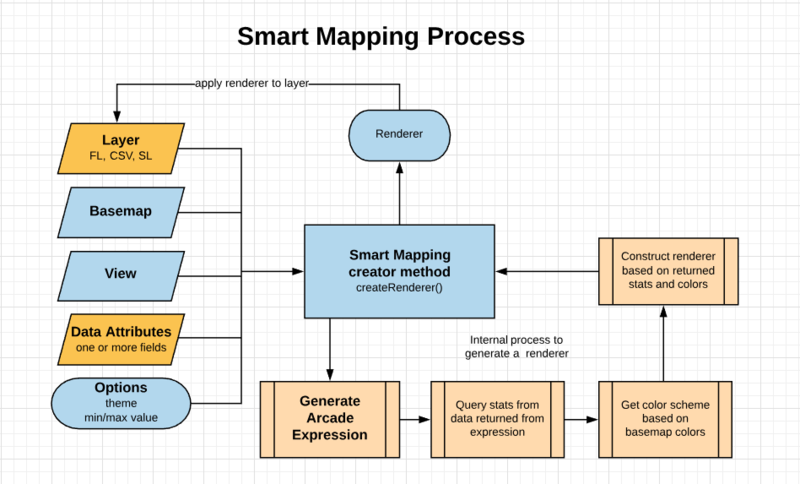 You can use the same Smart Mapping workflow to generate renderers for data returned from an Arcade expression you generate in behalf of your users. These three use cases require Arcade expressions, but you no longer have to worry about generating the expressions on behalf of the user; the renderer creators do this for you in the API. Notice that generating Arcade expressions is now handled as part of the Smart Mapping workflow for these cases. The following apps will illustrate what the final Arcade expressions and renderers look like once generated by the appropriate renderer creator function. I’ll cover each of these use cases in more detail in upcoming blog posts. The createAgeRenderer method exists on both the color and size creator modules. This method visualizes features by their age based on one or two date fields in the layer. To do this, it generates the following Arcade expression prior to querying statistics and getting a color scheme. You can see this by logging the renderer in the developer tools console. The Arcade expression generated by the ageRendererCreator() method. The lines boxed in green represent input directly set by the user. 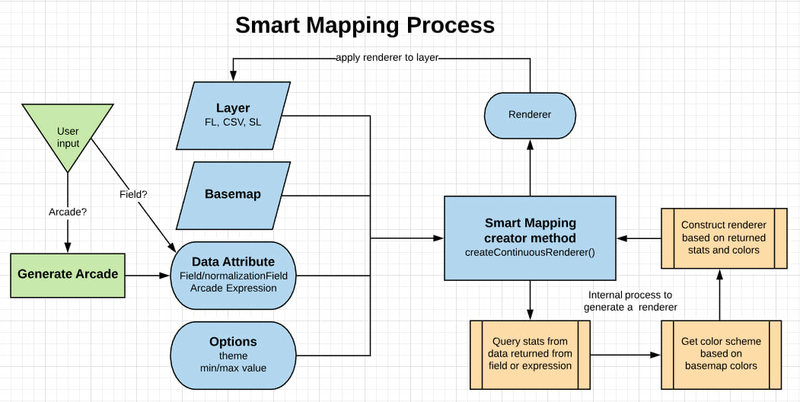 The parameter in blue is determined by an internal Smart Mapping method based on statistics returned from the date fields. Predominance involves creating a unique values (or type-based) visualization that indicates the winner among a set of one or more competing numeric fields. A common application of this is election mapping. A while ago, I wrote about how to write your own Arcade expression for predominance visualizations using Arcade. You can also do this by creating a new field in your service layer. Rather, you can specify the name of each numeric field in the createRenderer method parameters, and it will generate the following Arcade expression based on the field inputs and produce the correct visual for you. The lines surrounded in green indicate fields specified by the user. The rest of the expression can be reused by other layers as long as the correct input fields are provided. 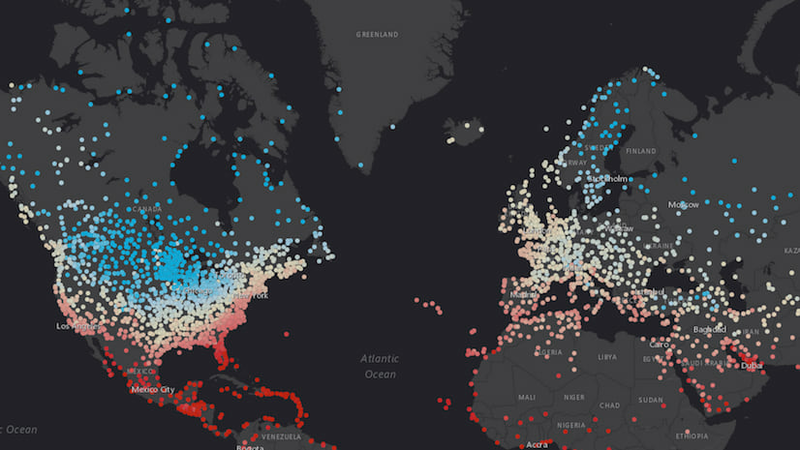 Relationship visualizations were introduced to ArcGIS Online in June 2018. Commonly known as bivariate choropleth mapping, it involves exploring the spatial relationship between two numeric fields (e.g. % population diagnosed with diabetes versus the % population classified as obese). In the JS API, this is implemented with a UniqueValueRenderer driven by the following generated Arcade expression. The arcade expression generated by the relationship renderer creator method. 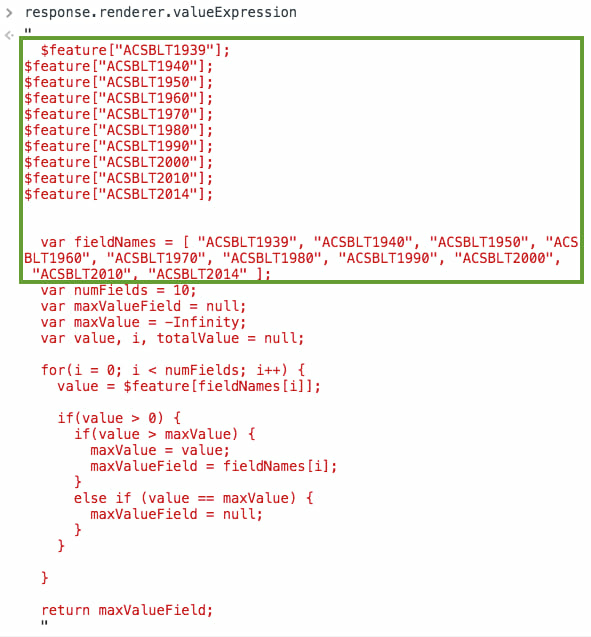 Code surrounded in green indicate fields directly specified by the user. 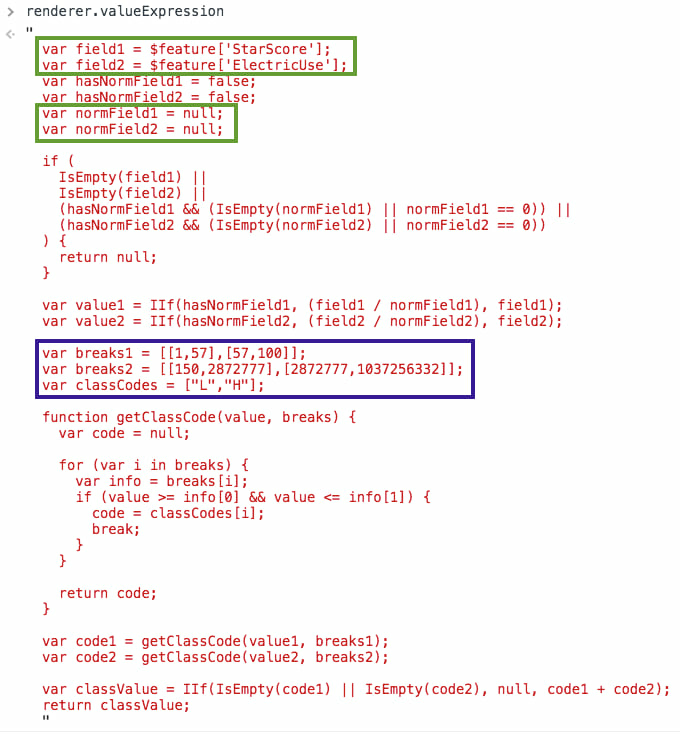 Code surrounded in blue indicate class breaks generated by the creator method. Keep a look out for additional posts exploring each of these renderer creators new to the JS API version 4.9. You don't need an expression builder to take advantage of Arcade as a developer. You can generate expressions in behalf of your users. Providing a mechanism for sharing Arcade expressions has been a popular request.